Two months ago, I received some non-alcoholic Sparkling Grape Juice with thanks to Voyager Estate, Margaret River. The sparking grape juice is made with the same Estate grown grapes that are in Voyager Estate’s Shiraz and Chardonnay. Looking for a drink to enjoy minus the alcohol? The sparkling grape juice is perfect for you as a refresher, thirst quencher or an enjoyment. Crafted and made to the standards of premium wine, the grape juice is available in white and red. It was also a personal favourite of Voyager Estate’s founder, Michael Wright, who actually didn’t drink alcohol. What do I think? I like both red and white but I’m leaning more towards red, just because I love the sweetness of it and how the taste reminded me of Ribena. 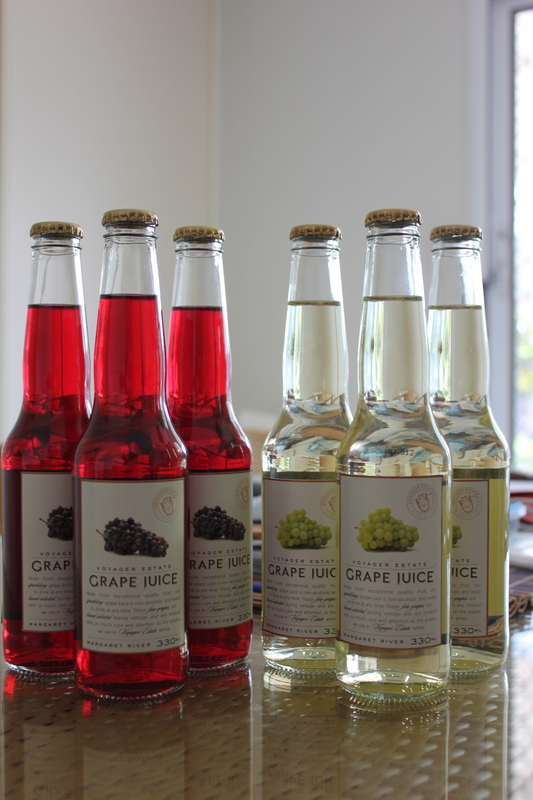 Overall, both the grape juices were not too fizzy and not extremely sweet. A lovely sparkling grape juice which will be able to go well with any food you are having or with any occasion. Voyager Estate Sparkling Grape Juice is currently sold out at the moment, but keep checking out their website as they will be restocking shortly. If you would like to get your hands on some sparkling grape juice, please call +61 8 9385 3133 or email wineroom@voyagerestate.com.au. Alternatively, you can also check out selected retailers such as The Herdsman and the Boatshed.